Think you’ve seen the best tees? Check Kritter out! Wow, these tees will certainly get the kids talking! Beasties and beauties abound in this newly-launched Australian company. 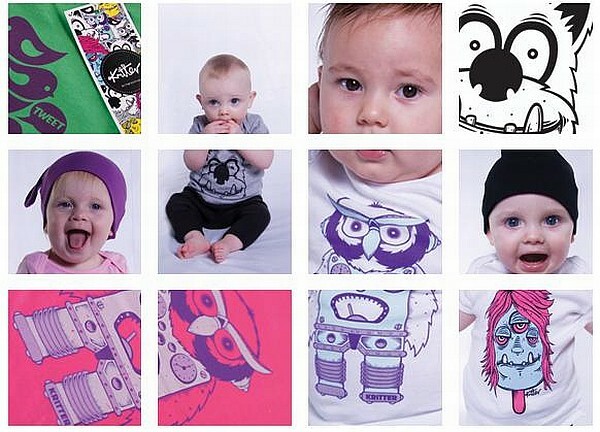 Kritter tees are not your usual baby and toddler clothing. Designed and printed in Australia on uber-cool American Apparel cotton tees, the designs are a fun and bold mix of, well, critters! Promising to turn up the volume on t-shirts for babies and toddlers, these are likely to make many a teenager green with envy. I love the quirky graphics, particularly the more daring designs – check out the monsterpop. These might be a tad too adventurous for some but for very individual boys and girls, they’ll be the talk of the town! Available in sizes from three to six months up to two years, I can’t wait until the bigger sizes are introduced. Each tee costs $34.95 and shipping is free. Available exclusively online at the moment but expect to see these popping up in the cooler boutiques soon.